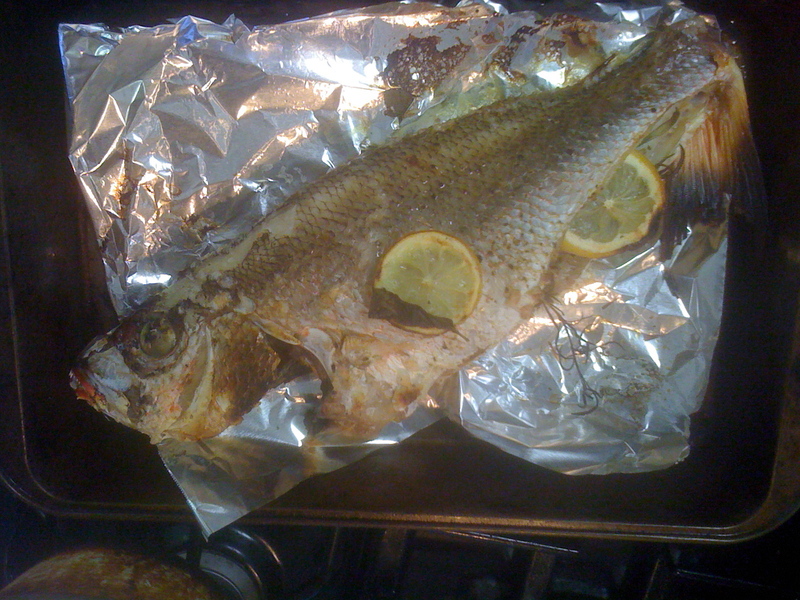 Last night was a night for whole fish, stuffed with garlic, lemon, basil, and rosemary. 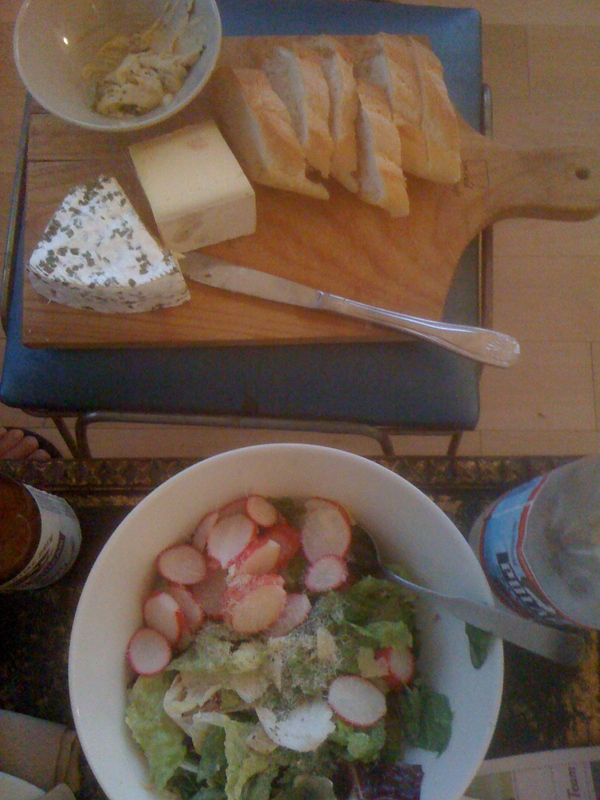 And with the temperature still hovering around 90º at dinnertime, a crunchy Caesar seemed like just the accompaniment. Preheat oven to 400ºF or set oven to broil. (Or grill if possible.) Wash the fish and pat completely dry. Make a slice down the fish lengthwise, for inserting the herbs. Coat the fish inside and out with more salt than seems reasonable – I’d say about 1 tbsp – and fresh ground black pepper. Then stuff the fish with slices of lemon, the garlic, and herbs. Place in a shallow pan in the oven and cook for ten minutes on each side. In a bowl, whisk together the oil, lemon juice, anchovies, mayo, salt, and pepper. Make sure to break up the anchovies so they integrate into the dressing. Before serving, toss with the lettuce and radishes.